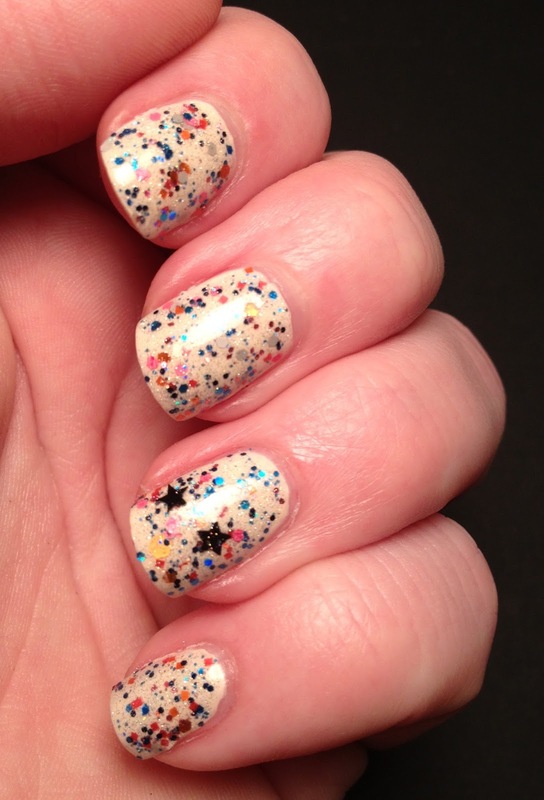 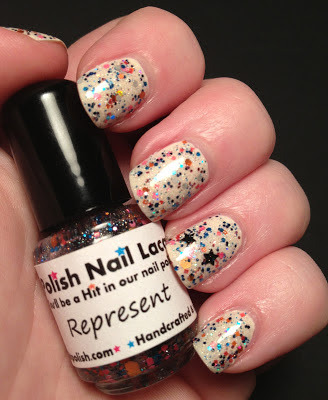 Today I have another polish from Hit Polish that is slated to hit her store on July 15th. This was sent to me for review along with one more polish that you will see shortly. 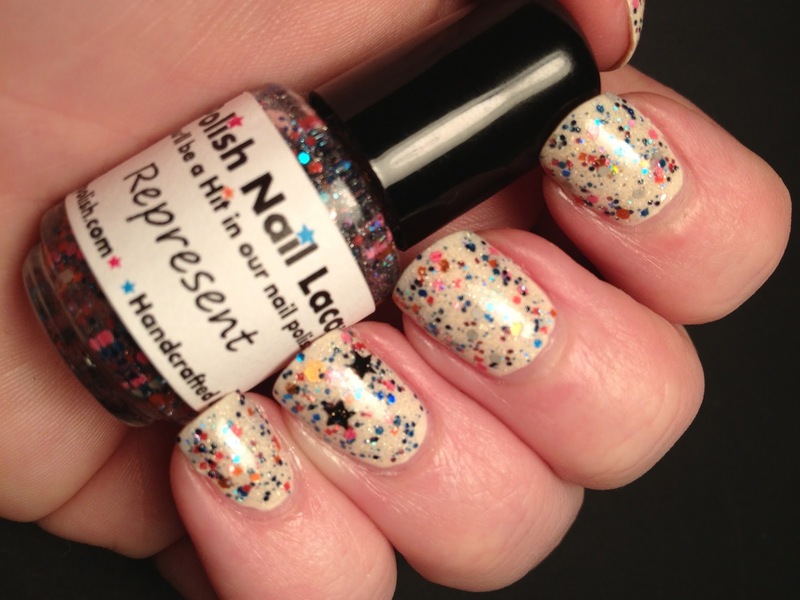 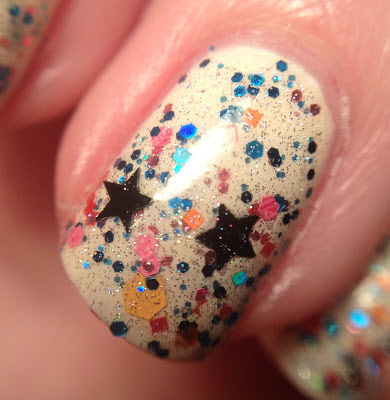 Represent has so many types of glitter in it, from tiny micro holographic ones to black stars and everything in between. In order to see the true beauty of this you need to see the pictures. I have layered two coats of Represent over two coats of Maybelline Canary Cool. 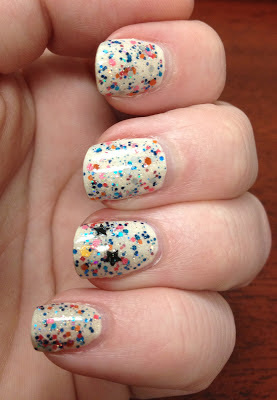 I had on one coat of Rejuvacote and a coat of Orly Bonder and I topped with HK Girl.